Description: Cham Syndulla was a Twi'lek male who dedicated his life to being a resistance fighter and revolutionary leader during the Clone Wars and the early days of the rebellion against the Galactic Empire. Syndulla started as a political revolutionary who opposed the corruption of Ryloth's senator, Orn Free Taa, but the invasion of Ryloth by the Confederacy of Independent Systems during the Clone Wars saw him turn his attention towards rebellion. 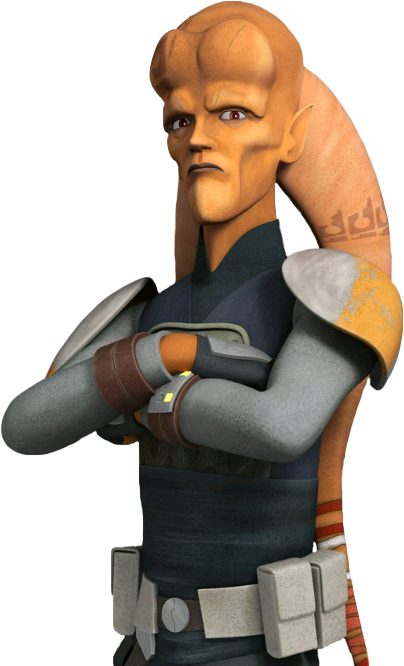 He formed the Twi'lek Resistance and fought alongside Jedi Master Ima-Gun Di and the Grand Army of the Republic in their initial attempts to repel the Separatist warlord Wat Tambor and the Separatist Droid Army, but the Republic's initial assistance was limited and the Twi'leks were vastly outnumbered. Though Syndulla was reluctant to trust the Republic again and feared a Republic military occupation of Ryloth, Syndulla ultimately allied himself with Jedi General Mace Windu and, together, they liberated Ryloth from the Separatists. His concerns over the Republic were eventually confirmed when, at the end of the Clone Wars, Supreme Chancellor Palpatine declared himself Emperor and transformed the Republic into the Galactic Empire. 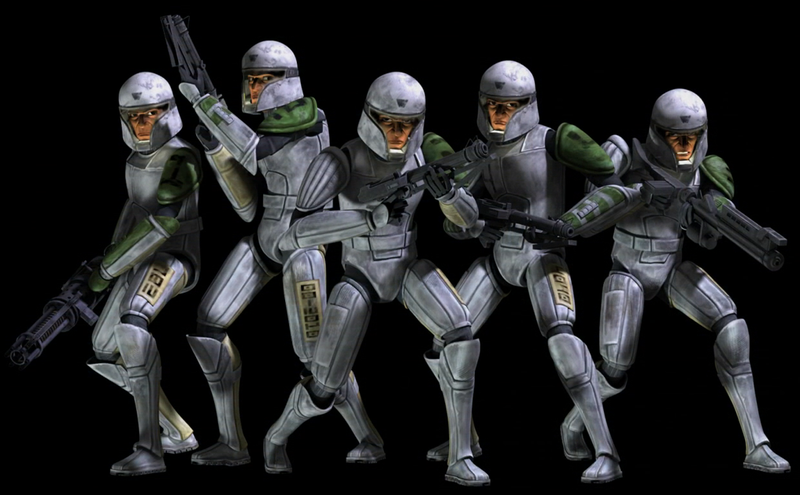 Ryloth fell under Imperial Military occupation, so Syndulla formed the Free Ryloth movement to fight back. He and the movement hoped to strike a crippling blow to the Empire by attempting to assassinate the Emperor and his apprentice, Darth Vader, when they visited Ryloth, but the plot failed. In reality, it was a trick by the Emperor to lure the Free Ryloth movement into a trap. Many of the movement's members were killed, but Syndulla managed to escape. Syndulla's wife was killed at some point during the Twi'lek rebellion and also had a son who died young, so Syndulla fully dedicated himself to his cause and cared only about liberating Ryloth. This created strain in Syndulla's relationship with his daughter, Hera, who left Ryloth to fight the Empire on other worlds. In the third year before the Battle of Yavin, Syndulla partnered with Hera and her rebel forces in order to capture an Imperial carrier over Ryloth for the rebel fleet. The elder Syndulla briefly betrayed the rebels in an attempt to destroy the carrier, hoping to use its destruction as a symbol to rally the people of Ryloth to the cause of his resistance, but he ultimately helped the rebels capture the carrier. In the process, an Arquitens-class command cruiser was destroyed, giving Syndulla the symbol he hoped for. The events led him to reconcile with Hera and see the virtues of fighting the Empire beyond just Ryloth. By the time of the outbreak of the Galactic Civil War, Cham had become a grandfather to Jacen Syndulla a male human-Twi'lek who was both Hera's and Jedi Knight Kanan Jarrus' son. Cham Syndulla was a political revolutionary who opposed corruption and fought for Ryloth's freedom throughout his life. He was regarded as a an extremist by the establishment Senator Orn Free Taa. While distrustful of the Jedi and the Galactic Republic, Cham came to respect the Jedi for their role in liberating Ryloth from a Separatist invasion led by Emir Wat Tambor. Despite the scarcity of food during the Clone Wars, Cham still respected the tradition of hospitality and offered Master Windu food. Cham's respect for Master Windu persisted years after the liberation of Ryloth. Cham was a courageous fighter who often led his men into combat. While Cham's suspicions about the Republic were proven right when it was transformed into the Empire after the Clone Wars, Syndulla still maintained his respect for the Jedi. Cham told his daughter Hera stories about the valor of the Jedi during the Clone Wars. As a patriot, Cham was solely devoted to achieving Ryloth's freedom from outsiders. This led him to neglect his daughter Hera, who found a friend in the form of her astromech droid Chopper. Despite their mutual love and respect, Cham and Hera later parted company after the two disagreed on the matter of whether Ryloth's freedom was linked to the galactic rebellion against the Empire. As leader of the Free Ryloth movement, Cham was willing to use violence to achieve Ryloth's freedom from Imperial rule. Despite his suspicion of offworlders, Cham was still willing to work with the Imperial Colonel Belkor Dray, who supplied Cham with information on the Empire in order to discredit his boss Moff Delian Mors to boost his own career. Cham knew that Belkor could not be trusted since he was helping them for his own selfish gain. Thus, Cham recorded all of his meetings with Belkor in order to blackmail the colonel should he betray them to his Imperial superiors. Cham cared for his followers and sought to avenge the death of his lieutenant Pok at the hands of Darth Vader. After learning that the Emperor and Darth Vader were visiting Ryloth on a surprise trip, Cham engineered a trap for the two Sith Lords and their Star Destroyer Perilous. Despite his careful planning, Cham underestimated the resourcefulness and bold cunning of his Sith adversaries. As a military commander, Cham also took steps to safeguard his rebel movement by dispersing them into hiding. Despite losing his opportunity to kill the Sith Lords and topple the Empire, Cham never gave up his devotion to the rebel cause. While ruthless in combat, Cham was unwilling to endanger civilians and took precautions to evacuate them before the fighting. Despite his distrust of the rebellion, Cham and his followers Gobi and Numa were willing to help his daughter Hera and her rebel cell to take out an Imperial fighter carrier that had been bombing Ryloth. Disagreeing with Hera's plans to steal the fighter instead of destroying it, Cham used his guile and charm to ingratiate the rebels and lull them into lowering their guard. Cham and his followers then proceeded with their plan to destroy the fighter carrier. However, Hera managed to sway him over by telling him that he had inspired her to join the rebellion. Due to their joint venture, Cham and his followers became more sympathetic of the rebellion. Despite his skills as a guerrilla commander, Cham underestimated the capabilities of Grand Admiral Thrawn, who led the pacification of Tann province. 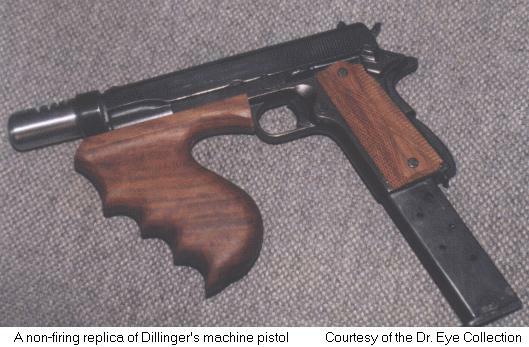 Cham's love for his daughter Hera later led him to assist her in a plan to recover a family artifact, the Kalikori, from Thrawn. Thrawn and Captain Slavin attempted to exploit his love for his daughter by forcing Cham to surrender himself in return for sparing the lives of Hera and her rebel comrade Ezra Bridger. Though Hera destroyed their ancestral home during an escape attempt, he still respected her for her ingenuity and creativity. Cham Syndulla was a passionate revolutionary and skilled military commander. He knew how to ride a blurrg and how to wield blasters and other weapons. A capable leader, Cham organized the Free Ryloth movement into an efficient fighting force backed by a network of informants, supply bases, and storage depots. Despite being outgunned, Cham was a resourceful commander who was adept at laying ambushes. 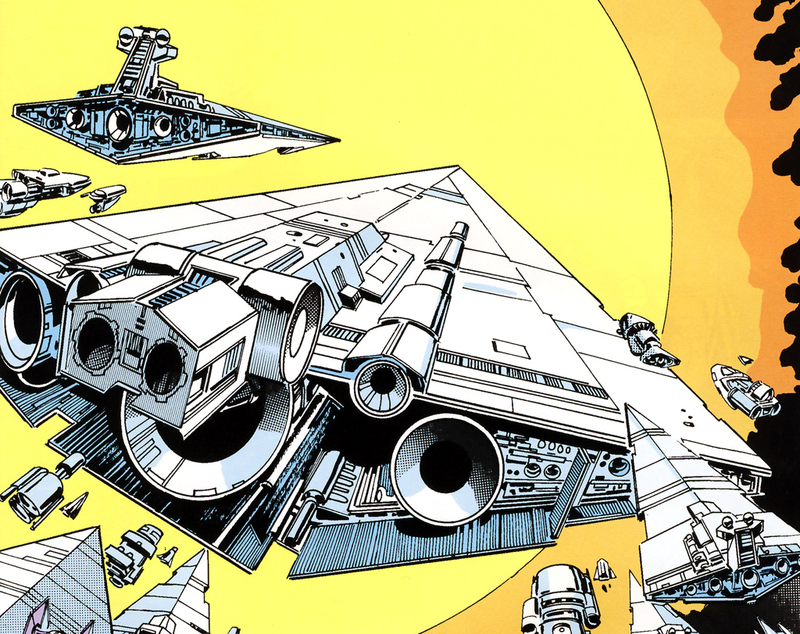 On one occasion, he used space mines, Vulture droids, and disguised fighters to attack an Imperial Star Destroyer. Cham was also skilled at planning military operations and knew when to retreat. Cham was a capable warrior who often took part in the fighting. He was also familiar enough with the workings of starships to disable their hyperdrives. While zealous in his goals, Cham could also listen to reason and be a team-player. Cham was also skilled at outrunning pursuers while riding on his blurrg.